Prestashop USPS Shipping module- Prestashop USPS shipping module is providing new shipping methods i.e. United States Postal Service for Customers. USPS methods can be used by US based stores only.USPS methods is available for both US based as well as international customers. 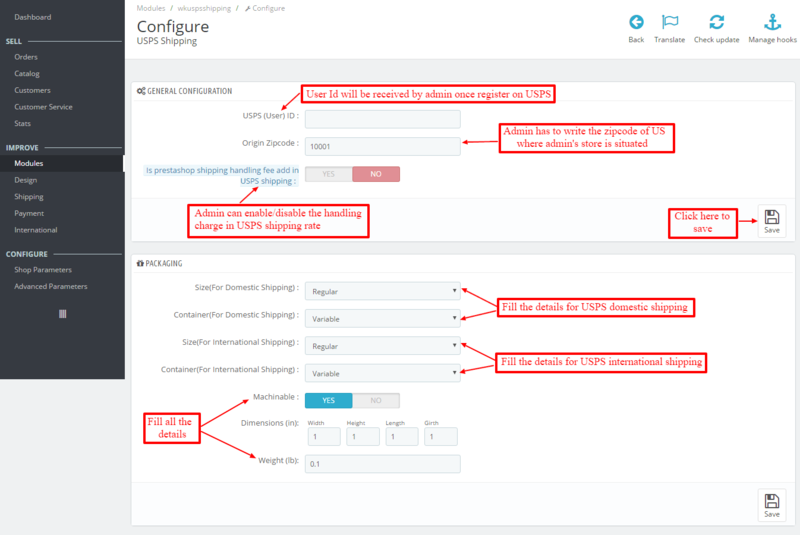 Calculates cost for USPS Shipping Methods on the basis of USPS configuration details entered by admin. Remove country restriction(Now admin can ship their product all over world). Add new dimension variable “Girth” for calculating more efficient shipping rate. Separate packaging size and container type for domestic and international shipping. Admin can add handling charge in USPS shipping. Search “USPS Shipping” in module search box then go to module and click on install. After successful installation of the module, admin has to configure the module. Default values are set during installation of this module, admin can change it accordingly. To get the USPS user ID admin has to register at https://registration.shippingapis.com/ and will receive the User Id via mail. Note:- The package dimension provided during configuration is default dimension. If any product has its own dimension then the package dimension will be same as product dimension otherwise the package dimension will be same as default dimension. 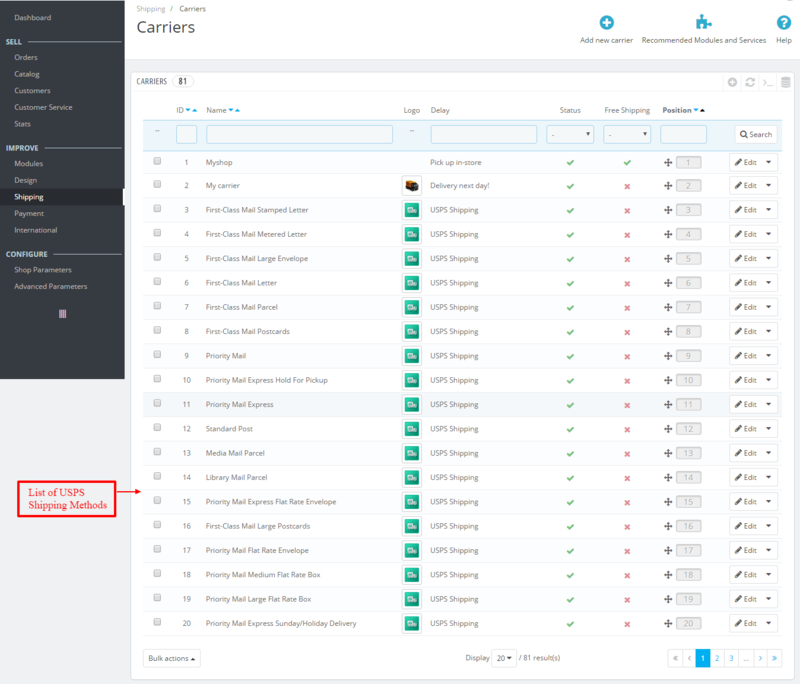 After successful installation, list of domestic and international USPS shipping methods will be added to the carriers list. 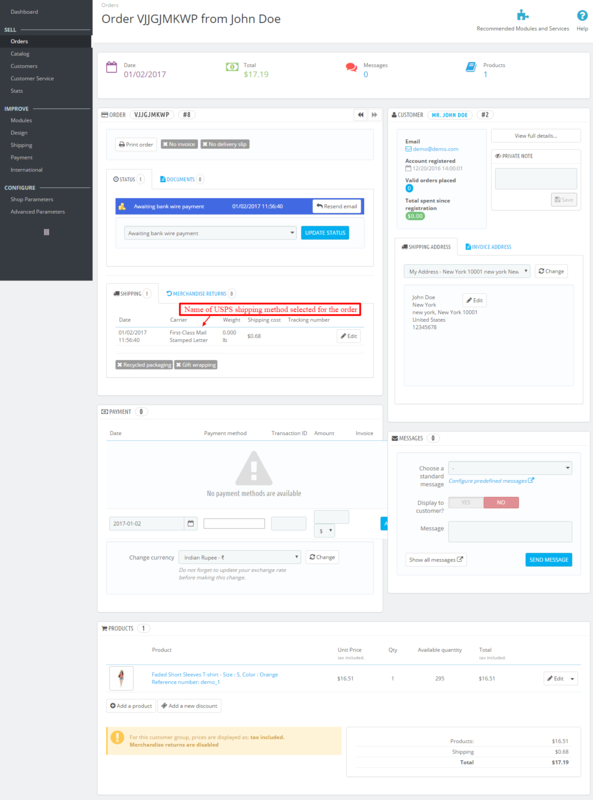 Now on purchase of any product, buyer will find the USPS Shipping methods with their cost calculated through the admin USPS Configuration Details. Admin can view the name of the USPS shipping carrier with their shipping rate in order page. 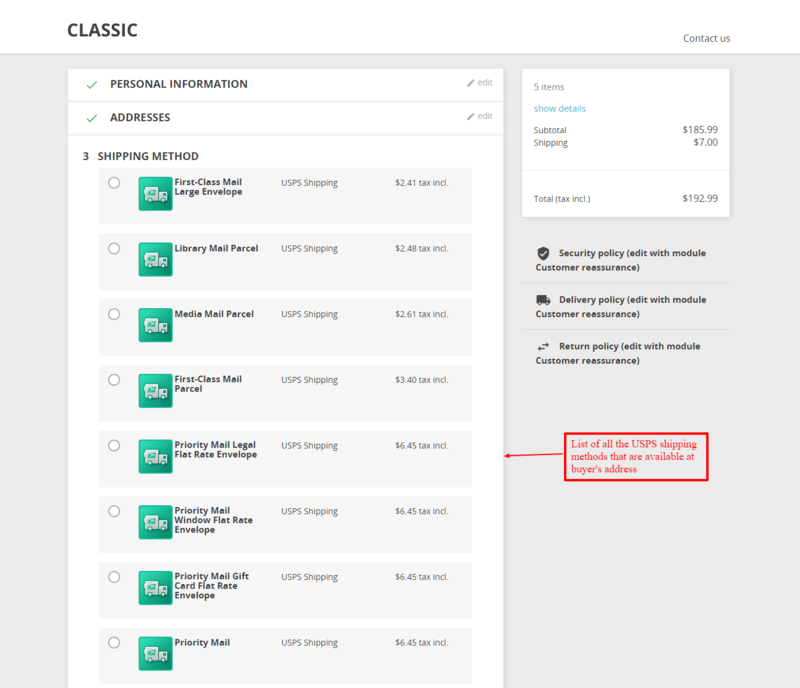 This is how admin can add USPS shipping methods to their store.